So it’s the last day of Autumn and we’re well and truly headed into the swing of winter! Sydney is putting on a glorious winter display (minus the couple of mornings of crazy thick fog) but today is glorious blue skies! So winter is a time for people to get cozy, hide under layers of clothing and over indulge in a few Friday night pizza’s and vino! 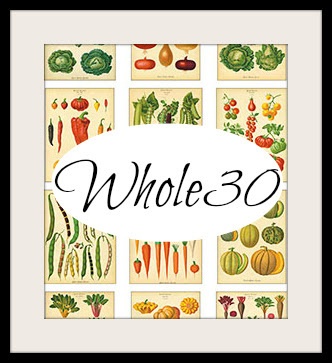 I’m going to try break that mould this winter by kick starting it with a program that has been floating around the interweb called Whole30. If you’re interested you can find all the info you need here including your own shopping list here. I’m starting it tomorrow, which I think is perfect, first day of winter, first day of the month and June has 30 days, really could it get more perfect? Well I do have a friends birthday tomorrow and I’m not allowed alcohol, so maybe not all that perfect, but one of the rules is that you can’t break the program ever, never ever, not even once, otherwise it can completely ruin the ‘healing’ process your body is going through. Oh and on top of it all I will be doing hot yoga, which if you have never tried it you’re seriously missing out. After every class I feel like I am floating through the streets on my walk home. It’s great for your fitness, strength, mind and is super cleansing.